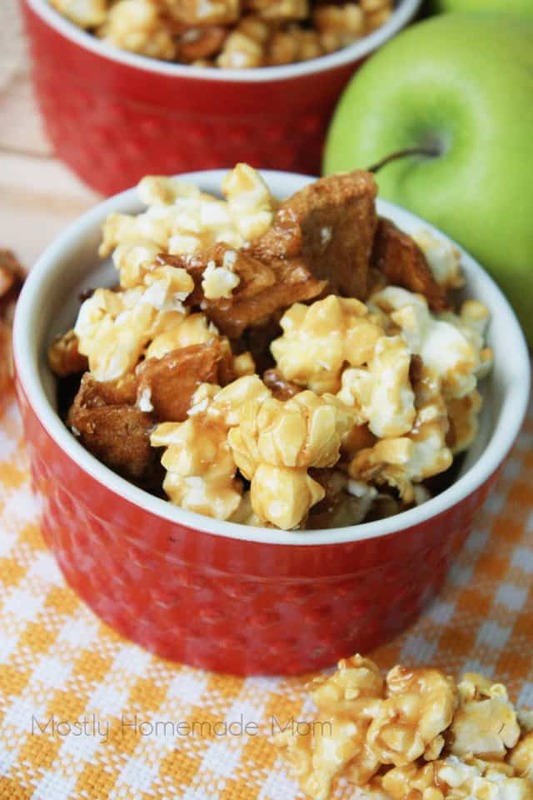 This Caramel Apple Popcorn is so easy on the stove top! 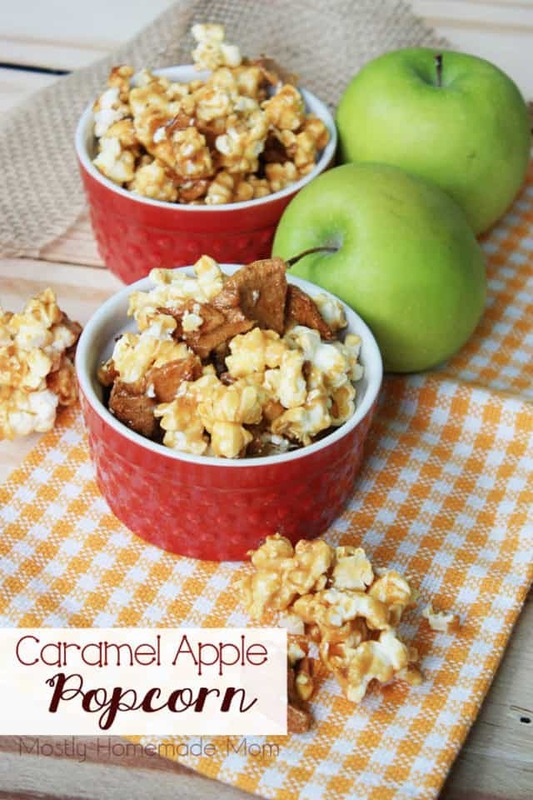 Classic caramel mixed with popcorn and dried apple and roasted in the oven – the perfect fall treat! 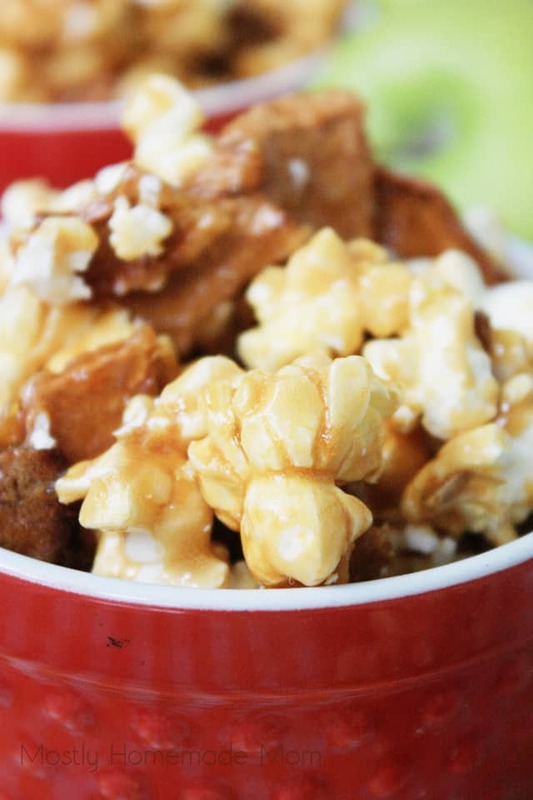 Have you ever made homemade caramel popcorn before? It honestly never crossed my mind to try it – we always bought it or had it given to us in those Christmas tins. When I was a kid, this was a popular gift for pastor’s families apparently! We would be given quite a few of those tins every year and they were always divided into three sections – regular butter popcorn, cheddar popcorn, and caramel popcorn. My brother, sister, and I devoured them all – ha! I came across a simple recipe for homemade caramel popcorn and I really didn’t know it was this easy to make. 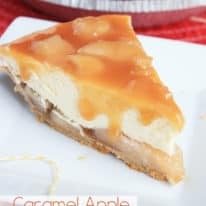 I’m telling you too, there is NOTHING that compares to the flavor of this batch homemade to anything you could buy in the store. You really don’t realize how long those bags have been sitting on the shelf, but it really doesn’t matter – they’ve been made to be shelf stable for a LONG time. I cut a few minutes off the time on this by using my favorite brand of microwave popcorn, but you could certainly pop kernels on the stove yourself for this – just be sure to butter and salt the popcorn as you normally would. The combination of sweet to salty here, along with the dried apples, is one you certainly don’t want to miss out on! Pick out any unpopped kernels from the popcorn and place popped popcorn into a large, greased roasting pan. Stir in apple chip pieces and set aside. 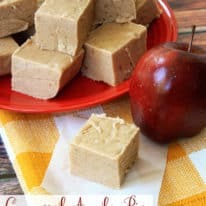 Heat butter, corn syrup, and brown sugar in a medium saucepan over medium heat, stirring until mixture comes to a rolling boil. Allow mixture to boil without stirring for 5 minutes. Turn off the heat and stir in vanilla and baking soda until lighter in color and slightly fluffy. Pour mixture over popcorn and apple chips in roasting pan. Stir to coat well. Bake at 250 degrees for 45 minutes, removing pan from the oven and stirring at 15 minute intervals. Allow mixture to cool. Break up into small pieces and serve immediately or store in a sealed container. 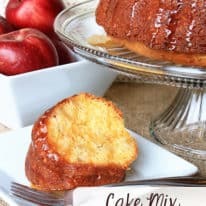 With the microwave popcorn and the homemade caramel coating – this truly is a “Mostly Homemade Mom” recipe! 😁 Be ready for some great variations of this one – my boys absolutely could not get enough of this snack mix. Wrap some up in a cellophane bag with a ribbon and tag for a quick gift, too – I’d love it, myself!